A low profile design, heavy duty construction and a non-skid vinyl mat are just a few features of the Detecto D1130 scale - proven performer for budget-minded customers. 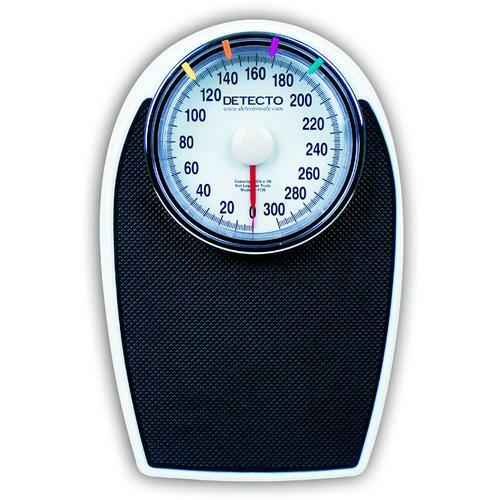 This scale features a white, baked-enamel finish and personal colorful indicators to mark one person’s or a whole family’s weights. The large diameter dial allows for easy readability even for tall people. Designed for personal use, fitness centers, and health care facilities.